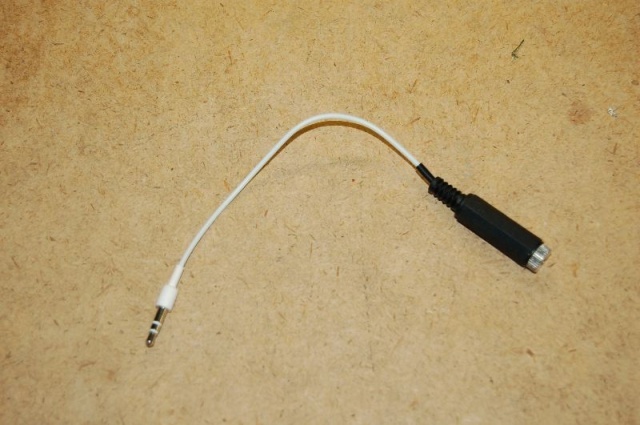 As you know, if you have an iPhone, the headphone jack is recessed. This was apparently done for esthetic reasons: pulling it out would have resulted in a big bulge--not something Steve Jobs would approve of. I happen to have some accessories that don't work with the iPhone because of this little design decision. 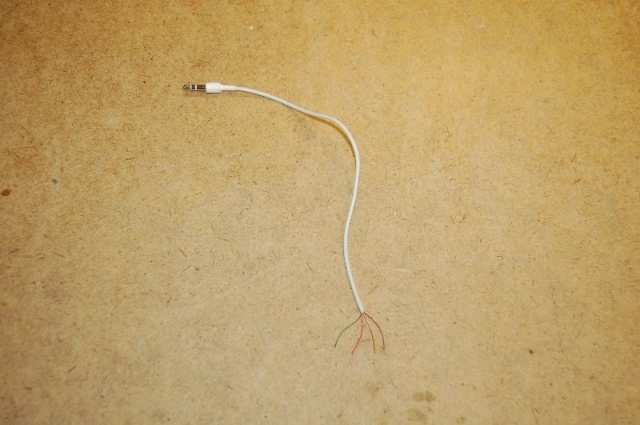 There are adapters, but they are bulky, stiff, ugly, and expensive. So, I decided to make my own. The results were OK--not perfect. A pair of earbuds with a plug that fits into the recessed socket. I had an old pair from an iPod that worked perfectly. A soldering iron (and the skill to use it without inhaling toxic fumes or burning yourself) along with the usual soldering stuff (like solder, for example). 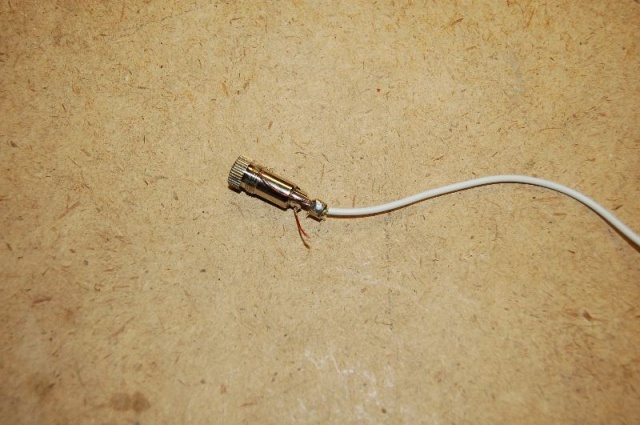 An in-line 1/8 inch phono jack. I got part number 274-274 from Radio Shack. I'm not wild about this jack since it's bulkier than I wanted. A length of 1/8 inch I.D. shrink-fit tubing. I use this as a strain reliever since the one in the Radio Shack jack is a little too big. 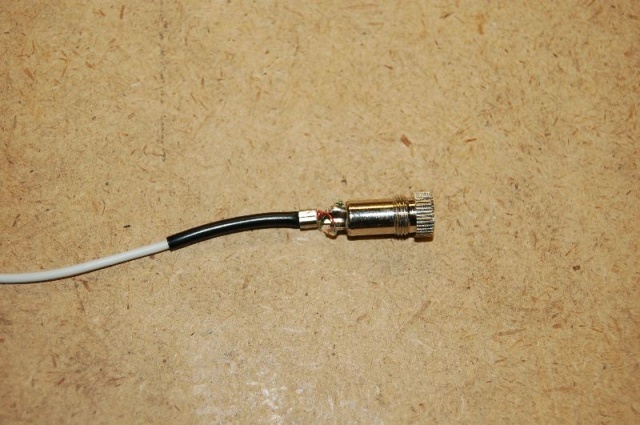 Put a 1.5 inch length of the shrink-fit tubing and the plug casing on the wire before you solder the jack in place. It won't fit otherwise. 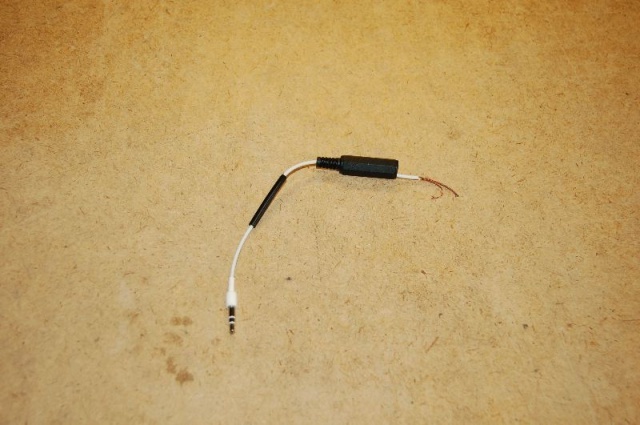 The red/green stripped wire is the common. 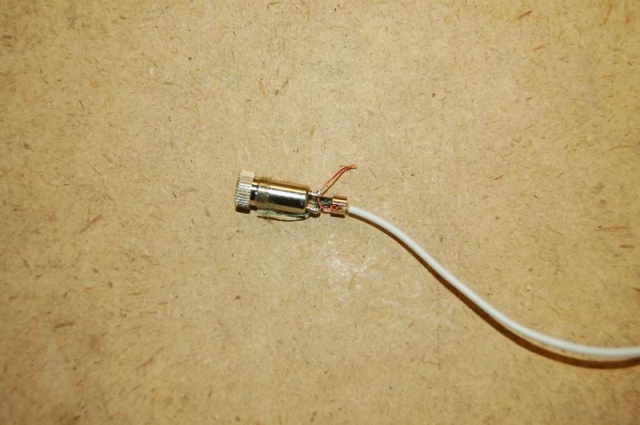 Solder that to the jack housing. There's a nifty little hole you can feed the wire through. Note that there's no need to strip the wires--in fact you can't. Just solder them in place. Next solder the red wire to the silver tab and the green wire to the bronze colored tab. Push the shrink-fit tubing under the crimp on the jack and shrink it. Then crimp the tabs on the jack housing around the tubing. This is also a good time to trim the excess wire. The final step is to push the housing up and screw it onto the jack. All done! 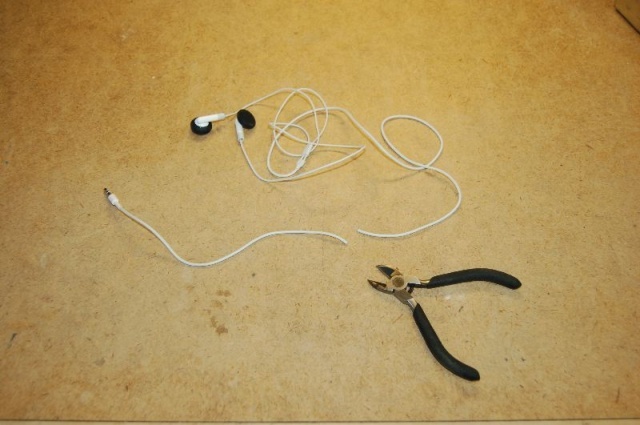 The wires on the iPod earbuds aren't easy to solder. I had to keep playing with them to get a good connection. Testing them will tell you how good your solder joints are. The unit is also bulkier then I'd like--the Radio Shack plug is the culprit. I'm looking for a smaller, more svelte phono plug. Still for the cost of $3, I've got an adapter that works fine. Not bad.